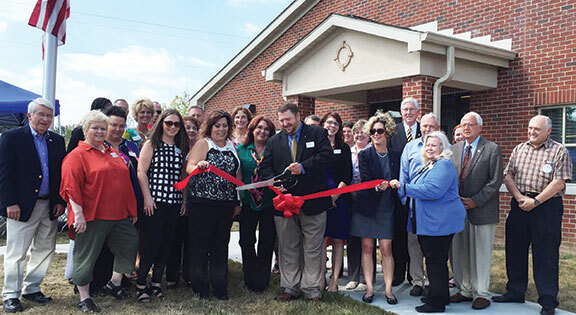 The Purchase Area Development District managed a $1.3 million project that resulted in local elected leaders, business owners and partners to open a new Kentucky Career Center building in the Murray West Industrial Park. Funding included a $1,080,000 Community Facilities Loan from USDA Rural Development to the Murray-Calloway County Industrial Development Authority and $246,000 from Delta Regional Authority and the Kentucky Transportation Cabinet. Let’s face it: Area Development Districts are often mentioned but frequently misunderstood. Most people have a vague idea of the function of these organizations – Kentucky has 15 ADDs – which are vital conduits funding many state agencies but also foster many facets of human services, community development and workforce development. Perhaps only the employees immersed in the daily mission of Area Development Districts, and their individual governing boards’ members, have a true understanding of their profound impact on the agencies they benefit and the state as a whole. 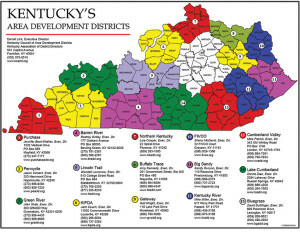 For that reason, The Lane Report sat down with Kentucky Council of Area Development Districts Executive Director Darrell Link and other officials to illuminate the inner workings of ADDs. The first surprising fact is that Kentucky’s ADDs have been around nearly five decades. The 15 entities in the Bluegrass State’s network comprise a collaboration of a large, diverse constituency of all 120 counties and 418 cities. Kentucky’s ADDs are governed by 572 board members and employ 850 people. “Our strategic mission is simple: Together (the ADDs) foster regional strategies, solutions and partnerships that improve the quality of life for all citizens living in the commonwealth,” Link said.  • Area-wide planning, program development and program coordination functions. • Assisting local governments in provision of local services. • Promoting and actively pursuing a public/private partnership at the local level as the basis for developing and strengthening the local economy. Kim Huston, president of the Nelson County Economic Development Agency, has benefitted from the Lincoln Trail ADD for 15 years. Bardstown and Nelson County are aided and impacted by the LTADD, Huston said, via various projects, from establishing the first regional economic development program to assisting with infrastructure construction in industrial parks. “The most important issue we are tackling right now, hand-in-hand with the LTADD, is workforce development and ensuring that we have competent and skilled workers to place in our ever-growing industrial operations,” she said. Rhonda Whitaker, district manager of government and community relations for Duke Energy Kentucky, has seen firsthand the impact of the Northern Kentucky ADD via the funding it provides to her local workforce investment board. “For adults, the career and training services provided are critical, especially as our ADD is able to help workers (and youth) possibly retool for those sectors where jobs are most in demand,” she said. The NKADD has been a key partner, Whitaker said, in the Advanced Manufacturing Workforce Development Coalition, of which she serves as co-chair. Its aim is to promote and fill skilled jobs for employers who can’t find sufficiently skilled workers. The primary role of ADDs is to serve as the required pass-through, or grant sub-recipients (a federal technical term), for billions of dollars in federal money for the various programs and services it supports. In this role, ADDs ensure money is distributed and services delivered in accordance with the numerous federal and state guidelines attached to the programs and services for each region. Management of these funds requires regular reporting, monitoring and auditing for compliance with state, federal and local laws. ADDs are the local entity that ensures implementation of the specific public purpose of each federal award. 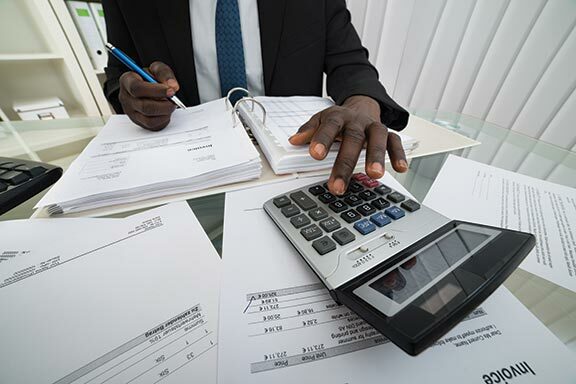 ADDs determine which programs and organizations are eligible to receive federal assistance by measuring performance in relation to public policy objectives. 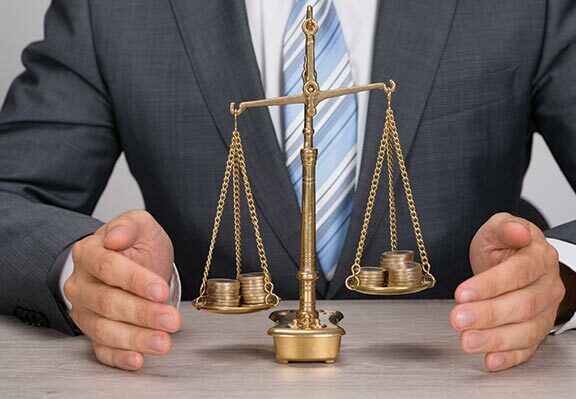 They have responsibility for decision-making and are responsible for adhering to the federal statutory requirements outlined in each of the programs. Kentucky’s ADDs provide behind-the-scenes assistance for three main types of state programs: community development; aging and disabilities; and workforce. Community development programs for local governments and other agencies get ADD staff assistance in building programs for historic preservation, community revitalization, parks and recreation, public safety, infrastructure, housing and transportation enhancements. ADDs help identify funding sources, prepare grant/loan applications and administer grant/loan projects. In 2015, the ADDs’ role in economic/community development included assisting cities and counties with tasks such as developing 600-plus infrastructure and community projects; obtaining $97.5 million in new state and federal grants; prioritizing transportation and road projects for inclusion in the statewide six-year plan; and providing business loans to start-up and expanding businesses through federal lending programs. Aging and disabilities programs get support in the form of a variety of services through the long-established ADD system of Agencies on Aging and Independent Living. The AAIL mission is to seek economic security, enhance healthy aging and support public policy that enhances the lives of senior citizens and others of all ages with disabilities. More specifically, AAIL created programs such as the Older Americans Act, which funds services that keep older adults healthy and active: congregate meals served in the senior centers; home delivered meals; transportation; health promotion activities; and socialization. • Homecare, which includes homemaking, personal care, transportation, respite and meals, both home delivered and meal preparation. • Consumer-directed options programs allow clients normally eligible for traditional home health services to manage their own budget and hire staff to provide in-home services. • Economic assistance, including help in enrolling in programs such as Medicare, Medicaid, prescription drug assistance, heating assistance, food stamps, farmers markets and food pantries. • The National Family Caregiver Act, which provides counseling, support groups, training and respite to assist family or other informal, unpaid caregivers. The goal is to relieve some of the physical and emotional burden of caregiving, thus reducing the risk of institutionalization. “The Area Development Districts have touched the lives of thousands of Kentuckians by allowing them the dignity of aging in place,” Link said. “The biggest misconception of ADDs is that we are a federal or state agency,” Link said. Rather, ADDs are local units of government as defined by the Kentucky attorney general and designed to function as conduits for funding to local areas and programs, and ensure proper oversight of the administration of activities by various local officials and business leaders. In a nutshell, he said, ADDs work each day with a goal of improving the quality of life and delivering essential services to all Kentuckians. In the Bluegrass State, ADDs facilitate local and regional prioritization of these services – such as solid waste, land use, water and sanitation, and transportation planning. ADDs assist in public discussion and prioritization of new transportation corridors; they make rankings readily known and available for citizens and for local, state and congressional leaders and their staffs. When requested, ADDs provide counties and cities with research staff to study and make recommendations on the delivery of services – such as police, fire and rescue – to help local leaders make sound decisions that improve the quality of services while decreasing overhead costs. ADDs assist small businesses by providing revolving loan funds, workforce training and education, and help them to fill jobs with qualified people. Kentucky ADDs also provide technical staff to counties and cities to assist in writing and updating personnel policies, budgets, establishment of tax rates, writing and administering grants. 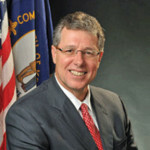 The most challenging aspect of his job, Link said, is ensuring Kentuckians understand that the ADDs are governed by local leaders who best understand the needs of their communities, hold each other accountable, promote good governance and are fully transparent in their decision making. “Because the ADDs serve all of Kentucky and play a prominent role in improving the quality of life for every person in Kentucky, I feel my small contribution helps makes a positive difference and a big impact throughout the commonwealth,” Link said.